Norwegian Cruise Line has announced a ton of itinerary offerings for North America, Bahamas and Bermuda for the 2017 Summer season. The itineraries will be available to book online for everyone from December 23, 2015. Cruisers can begin planning their cruise well over a year in advance. Exploring Alaska by sea will now be more exciting than ever with Norwegian, with a number of itineraries ranging in length from seven to 14 nights. 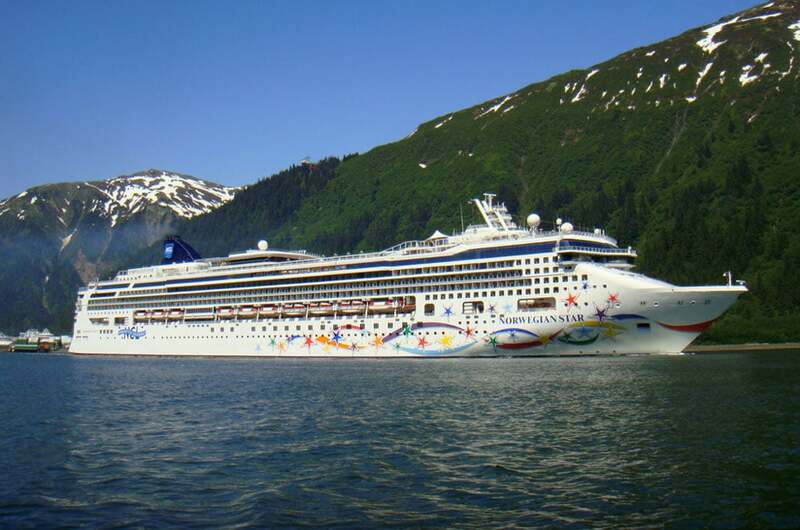 Norwegian will continue to offer the youngest fleet in Alaska, with three ships sailing in the summer of 2017: Norwegian Pearl and Norwegian Jewel, sailing seven-day Glacier Bay and Sawyer Glacier itineraries, respectively, from Seattle; and Norwegian Sun, sailing seven-day Alaska cruises alternating between Vancouver, British Columbia and Seward, Alaska. New for Summer 2017, Norwegian will offer three longer itineraries, giving guests the opportunity to be fully immersed in the beauty and wonder of Alaska. On Norwegian Jewel, guests can choose from a breath-taking eight-day Sawyer Glacier cruise from Vancouver to Seattle on May 5, 2017, featuring port calls in Ketchikan, Juneau, Skagway, and Icy Strait Point, Alaska; Victoria, British Columbia; and a cruise to the Sawyer Glacier. Also on Norwegian Jewel, guests can explore the wonder of this majestic state with a ten-day Ultimate Alaska from Seattle to Vancouver on September 23, 2017. This incredible itinerary features the finest the last frontier has to offer, beginning with a cruise through the Inside Passage followed by calls in Ketchikan, Juneau, Skagway, Icy Strait Point, and Sitka, Alaska; Prince Rupert, British Columbia; plus a cruise to Sawyer Glacier and Glacier Bay. Guests looking for the definitive Alaska cruising experience can opt for a 14-day Ultimate Alaska from San Francisco to Vancouver on Norwegian Sun, departing on May 15, 2017. This itinerary provides guests the chance to experience the best of the forty-ninth state, with port calls in Astoria, Oregon; Ketchikan, Juneau, Skagway, Icy Strait Point, and Sitka, Alaska; Prince Rupert and Nanaimo, British Columbia; and cruises through Glacier Bay, Hubbard Glacier Sawyer Glacier and the Inside Passage. The recently refurbished Norwegian Gem will sail seven-day Bahamas & Florida cruises from New York in 2017, from April 29, 2017 to August 26, 2017. This popular family-friendly itinerary includes visits to Orlando and the Beaches (Port Canaveral), Norwegian’s private island Great Stirrup Cay and Nassau, Bahamas. Along with the addition of brand favorites Sugarcane Mojito Bar and O’Sheehans Neighborhood Bar & Grill last year, Norwegian Gem also recently received extensive interior enhancements including upgrades to fabrics, fixtures and carpeting in all specialty restaurants, bars, lounges, staterooms and suites. For a shorter Bahamas cruise option, Norwegian Sky will offer the freedom and flexibility of the most inclusive contemporary cruise vacation at sea, with three- and four-day cruises to the Bahamas year-round from Miami departing Fridays and Mondays, with free unlimited beer, wine and premium spirits included. Ports of call include: Nassau, Grand Bahama Island, and Great Stirrup Cay, Norwegian’s private island. Norwegian will continue its tradition of sailing from both New York City and Boston to the pink sand beaches of Bermuda between April and October, 2017. Norwegian Breakaway will sail from New York City to Bermuda on seven-day cruises every Sunday from April 23, 2017 through September 24, 2017. From Boston, Norwegian Dawn will sail seven-day cruises, departing every Friday, from May 5, 2017 through September 15, 2017 as well as on October 20 and 27, 2017. Norwegian Gem will again offer two summer Canada & New England roundtrip cruises from New York City in 2017. These seven-day sailings on June 10 and June 24, 2017 call in the iconic ports of Halifax, Nova Scotia; Saint John, New Brunswick; Bar Harbour and Portland, Maine. During prime foliage season, Norwegian Gem will also offer alternating seven-day roundtrip cruises from New York City from September 2 to October 14, 2017, visiting four beautiful ports of call: Halifax, Nova Scotia; Saint John, New Brunswick; Portland, Maine; and Bar Harbour, Maine or Boston, Massachusetts. Sailing from Boston, Norwegian Dawn will offer two seven-day, one-way Canada & New England cruises on September 22 and October 6, 2017, with calls in Portland, Maine; Halifax, Nova Scotia; Charlottetown, Prince Edward Island; Gaspésie and Saguenay (La Baie), Quebec; ending in Quebec City, Quebec. Norwegian Dawn will also offer two return seven-day cruises from Quebec City to Boston on September 29 and October 13, 2017, with an overnight in Quebec City, followed by calls in the picturesque ports of Sydney and Halifax, Nova Scotia; Saint John, Bay of Fundy, New Brunswick; and Bar Harbor, Maine. If you’re wondering about the Caribbean and European itineraries for 2017 then they will be revealed in early 2016. Let us know in the comments below what excites you and if you will be booking any of these offerings.